Welcome to day 20 of my Countdown To Christmas Cookie Recipes. Today’s recipe is for Christmas Tree Cookies. Tomorrow’s recipe is for Spiced Fruit Cookies. Sift the flour and spices into a bowl and rub in the butter until the mixture resembles breadcrumbs. Add the honey and mix together well to form a soft dough. Wrap the dough in clingfilm and chill in the fridge for 30 minutes. Preheat the oven to 180°C/350°F/Gas 4. Grease 2 baking sheets. Divide the dough in half. Roll out one piece of dough on a floured work surface to about 5mm thick. Cut out tree shapes using a cutter. Repeat with the rest of the dough. Put the cookies on the prepared baking sheets and using a skewer, make a hole through the top of each biscuit large enough to thread ribbon through. Bake in the preheated oven for 12-15 minutes until golden. Leave to cool on the baking sheets for 5 minutes, then transfer to a wire rack to cool completely. 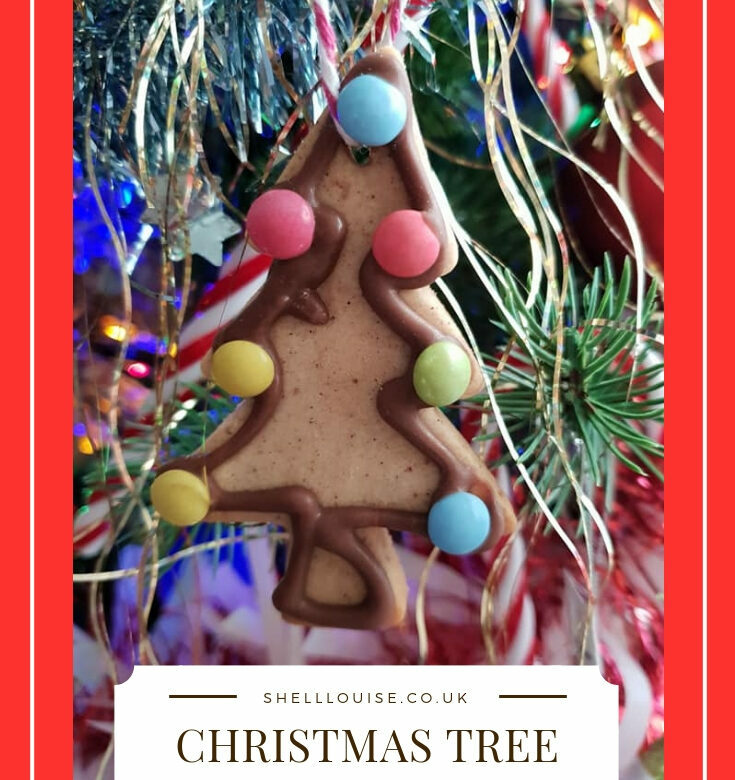 Decorate the trees with melted chocolate or white icing and mini smarties. Thread a length of ribbon through each hole and knot. Hang from the Christmas tree.